Cate Blanchett was back on the red carpet for the Cannes Film Festival premiere of ‘Blackkklansman’ this evening (May 14). 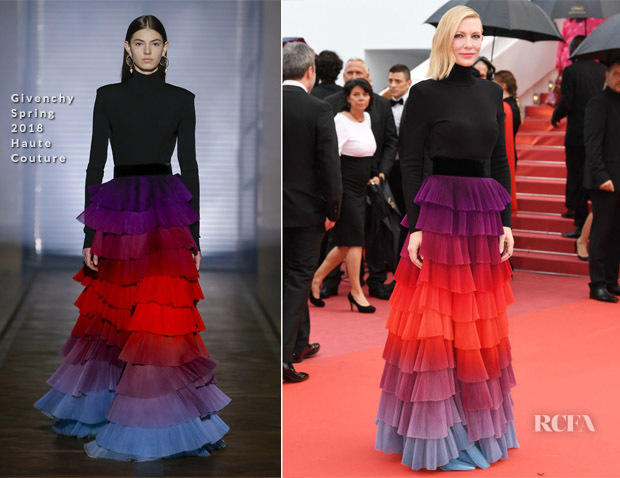 You can’t have a rainbow without the rain, so Cate donned this Givenchy Spring 2018 Haute Couture gown to banish the Monday blues. It looks like the Queen has answered my question.